Day One: This was the first day I saw my first graders, so day one was spent going over classroom rules and familiarizing students with myself and the space. We did small sketches of what students thought an artist looked like. 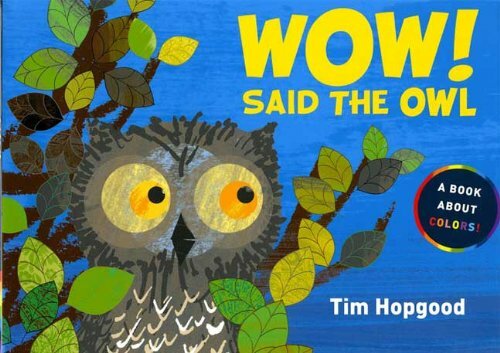 Hopgood and briefly talked about the colors seen in the book. We even looked at the color wheel in the back of the book and found the one I have hanging up in my room. We talked about how the color wheel is a tool that artists often use to make choices about color! Just like how a writer uses a dictionary to help make choices about words (I thought this was a clever comparison - but I'm pretty sure my first-grade-friends have no idea what a dictionary is yet)! 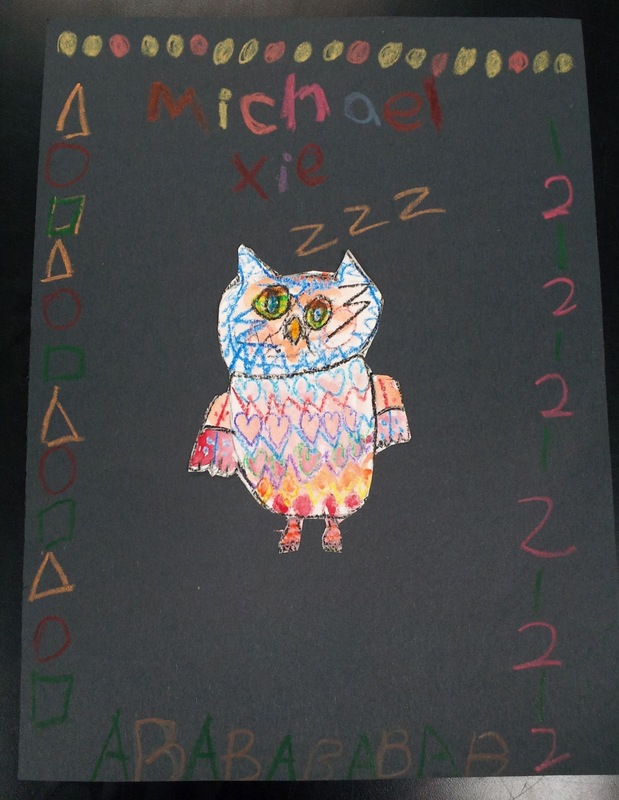 Afterwards, we looked at my teacher's sample of the project and then looked at it more closely in a powerpoint I made that highlights the smaller individual shapes I used together to create the owl. We saw ovals, circles, triangles, diamonds (which we called 'geometric shapes'), and even discovered a new kind of made up shape called a 'freeform shape' (the wings)! To help students remember, we did a little rhythmic chant of "A made-up shape is a freeform shape!". Anytime you get them to say something either rhythmically with their voices or to music.. you drastically increase the chances they'll remember the information (or so I've found). --Even my 4 yr old (who just started private pre-k) tells me surprising loads of information about stuff I wouldn't even expect him to know about yet - because they have songs about EVERY/ANYTHING. Ohhhh how our dinner table often feels like a faux-sesame street karaoke bar. Anyways.. I've gotten sidetracked. 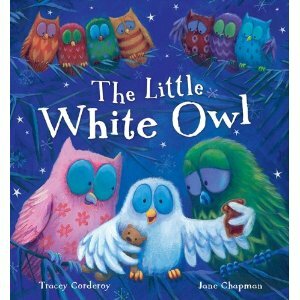 Then I pass out a sheet of white paper to students and have them draw their owls step-by-step with me. 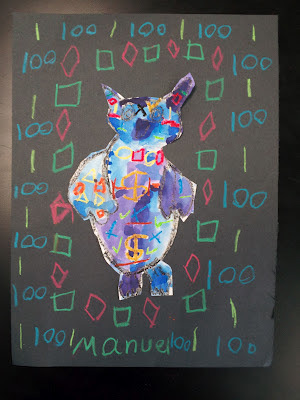 Although I very much believe in student's finding their own way to create their drawings/art... this was my first project with them and I really wanted to be able to gauge their ability to listen and follow along to directions. So I decided to make this project very directed vs open-ended. 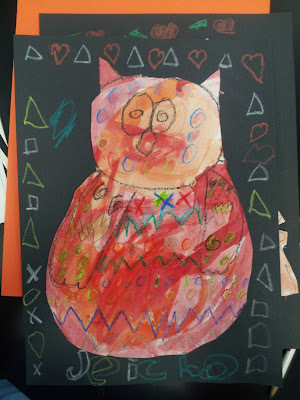 By then end of day two, students had created their owl drawings in pencil on the page and then outlined their pencil lines with a black crayon (I had to explain what an 'outline' was). Day Three: We began by reading the book "The Little White Owl" by Tracey Corderoy and talked about how all the little owls were unique with different colors and patterns. Then we really dove into the idea of pattern. We created patterns on a mini whiteboard with some magnetic pattern blocks I made and then talked about the different kinds of pattern I was making (AB, ABB, AAB, ABC, etc.) by adding labels with a dry erase marker under the shapes. We made student patterns (girl, boy, girl, boy). We made dance patterns (they LOVEEEEEEE these) by coming up with a dance move for each letter.. then putting them together. For example 'A' is a hop, 'B' is a wiggle. So if we were doing an 'ABB' pattern we would call out A as we hopped, then B as we wiggled twice. Then we went back to our tables and adding an assortment of patterns to the interior of our owl drawings with lines, shapes, colors, etc. 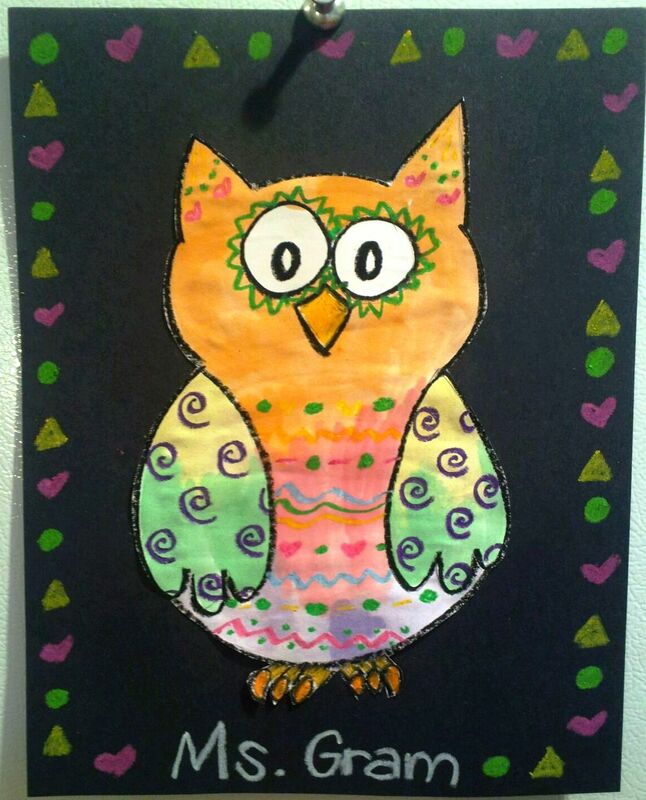 Day Four: We recapped what we read in the book "The Little White Owl" and decided we wanted to add more color to our owls. So I demonstrated how to properly use watercolor paints (and told them my behavior expectations), then went at it. We also talked about how we shouldn't let our brushes get "bad hair days." This is when the brush is too dry and it looks like the bristles are going crazy. We remedy this by giving our brushes "a bath" in the water cup. *They think this is crazy funny too. ;) All class long I kept hearing students say "Oh no! My brush is getting a bad hair day!" -- And then other students telling them to "put their brush in the water!!" The way my room is arranged is that I have 6 different color tables arranged in 3 rows (blue and purple are connected, green and yellow are connected, and red and orange are connected). I gave each color table their own table's color of paint, and then their connecting table's color. So students at blue table got blue and purple paint for this project. I told them that sometimes we'll have a choice of all the colors, but today I needed them to prove to me they could handle these paints. PROJECT THOUGHT: We used semi-moist watercolor paints for this project but I think next time I will just use liquid watercolors. Semi-moist watercolors are great.. but not when you use them all day.. and students go through them REALLY fast. Day Five: We cut out our owls and glued them down to a black piece of construction paper. Then using construction paper crayons, we created a pattern border along the edge of our paper. 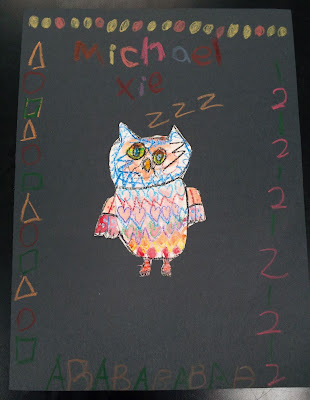 Afterwards, we flipped our papers onto the back and wrote, "My owl's name is (they came up with a name). My owl is special!" *Great way to get students into the idea of writing about our artwork - as I do this a lot with my older students!